When visiting Tianjin, the usual items to tick off the bucket list include the Five Great Avenues district, the Tianjin Eye, and the Ancient Culture Street, where you’ll be whisked back in time. But what about the lesser known hidden gems — those places that often get overlooked and put off for another day? Explore the unusual side of Tianjin with this selection of eccentric and underrated things to do. 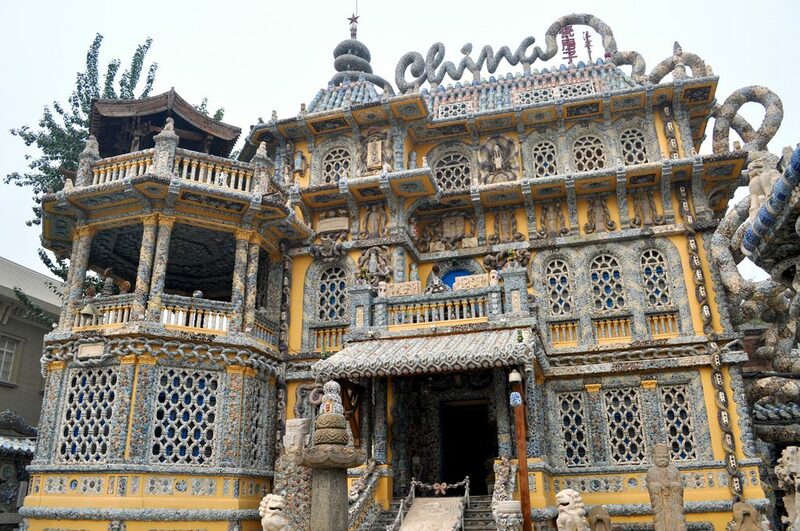 While this property was originally a colonial building, the current owner decided to revamp the mansion into a museum of pottery and antiques, featuring over 700 million pieces of porcelain. From the floors to the ceilings, this house is cluttered with ceramics. Even the roof features an enormous dragon made of porcelain. Built in 1907 and frequented by revolutionaries all the way from Guangdong, this museum was once a luxurious and highly decorated guild hall. This northeastern opera center has a Guangdong-style courtyard, and the museum is centered around the history of Tianjin opera and its performers. If you’re visiting in March or April, you may be able to catch a live performance here. This church is an oddity of Gulou Street. Cangmenkou was supposedly founded by a Chinese person, not a Westerner or colonialist, and sits quietly near the Drum Tower in a commercial area. This quaint warehouse-like facility still recognizes Christmas and is stocked with old wooden chairs and flooring. Even if you’ve had your share of church-visiting in Tianjin, don’t miss out on this one. 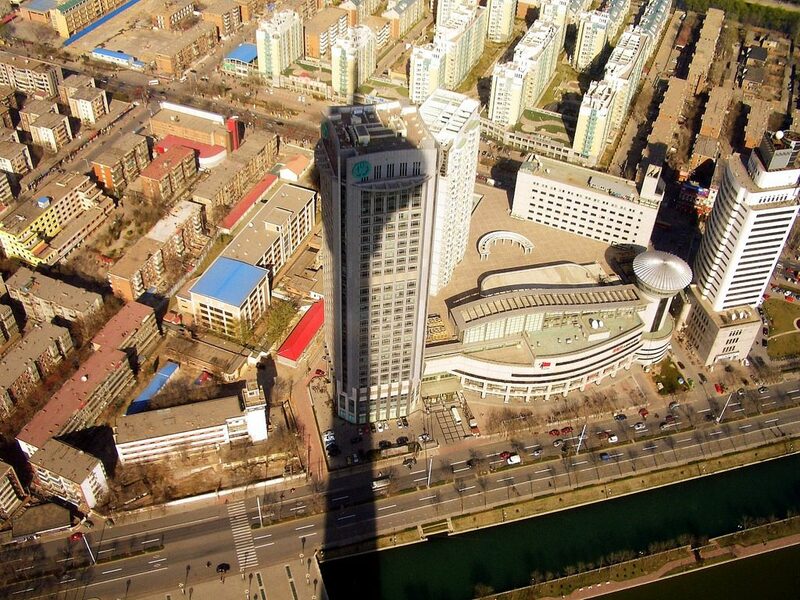 At over 1,360 feet (414 meters), this is one of the tallest freestanding towers in the world. The top of this tower allows for a full 360-degree panoramic view of Tianjin, which also boasts its own revolving restaurant. Constructed in 1991, this futuristic structure is another under-appreciated spectacle of Tianjin. Photographers and Instagrammers will love it. Another unusual spot that’s best for a day trip, Yangcun Small World Amusement Park’s layout is actually based on Earth’s tectonic plates. See over 115 miniaturized attractions of some of the world’s most symbolic sites like the Eiffel Tower, Mt. Everest, and even The Great Wall of China. With landmarks from 80 countries all inside this one park, here you’ll be able to roam the world all day in Wuqing. Too far for some, take the chance to escape the bustling downtown and visit Hexi district’s premier nature ground. Tianjin’s People’s Park is full of life. Frequented by many of Tianjin’s local elderly population, there’s something for everyone here. The splendid, classic Chinese-style park allows for scenic jogs, group dancing, and boating in the lake. Make sure to keep note of where you are, this park is gigantic. Up in the northwestern part of Tianjin in the Hongqiao District is one of the most famous mosques in China. The Great Mosque is a revered shrine for the Islamic faith. Inside this mosque are over 60 hung tablets and couplets that are written in Chinese and Arabic. Not all of this temple is open to the public. Tianjin is full of magnificent museums, but if you’ve seen most of them and are looking for a new alternative, try this one. An iconic power couple of China, Zhou Enlai and Deng Yungchao were strong political influencers of the 20th century. Zhou Enlai was the first premier of P.R.C, and his wife, Deng Yingchao, a revered women’s rights activist. The museum illustrates their lives and impact on China. Visit one of the largest aquariums in the world. Haichang features shows with live dolphins and whales, a vast underwater tunnel, penguins, polar bears, and more. A bit far from city center and often mistaken as a place mainly for kids, this aquatic pavilion has attractions that you can’t find in many other theme parks in China. A site that martial arts and kung fu enthusiasts will cherish, the former residence of the real-life hero, Huo Yuanjia was in Bruce Lee‘s Fists of Fury. Huo Yuanjia was the founder of Chinwoo, an association that spread Chinese martial arts, and he became famous for his victories over foreign fighters during the colonial period. His home was only opened within the last decade and features many of the artifacts he used while alive. Undoubtedly one of the most unusual theme parks in the world, Binhai Aircraft Carrier Theme Park is a Russian warship that has been transformed into a playland. Revamped by a Chinese billionaire, the military vessel still is equipped with its weapons, and alongside the artillery are rides, games, and more. This park even featured an electro music festival a few years back. This art gallery celebrates the particular style of art of Tianjin since the 17th century. Here, local artists of the past and present have on display their depictions of opera scenes, fairytales, myths, and even children and babies. See why Chinese families have these pictures on their doors during Chinese New Year, and even take home a piece of uncommon Chinese folk art.